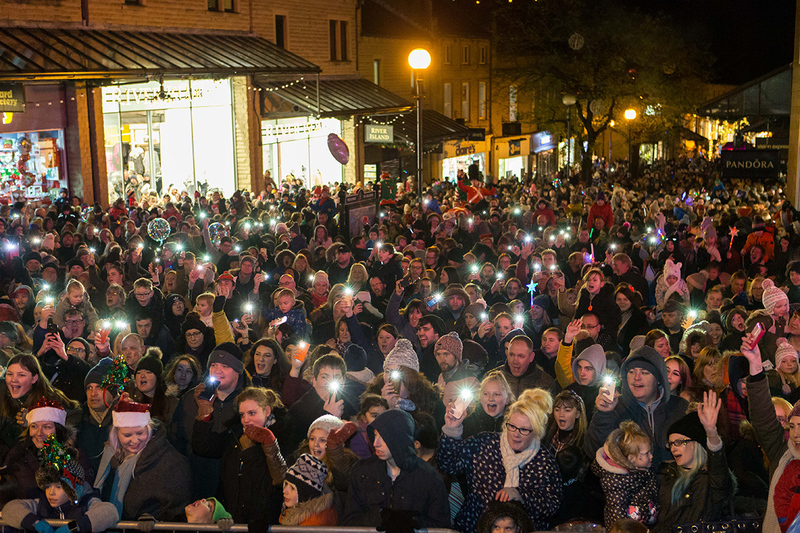 If you were there for last year’s big Switch On, you’ll know just how fabulous the atmosphere is at this event. Well, this year will be even bigger and better! Packed with family fun, we’re expecting thousands of well-wishers to come along and celebrate the official start of Christmas season in Halifax. Your fabulous MCs for the afternoon are Danny and Rosie from Pulse FM, back by popular demand, and you’ll rub shoulders with panto characters in full costumes from this year’s local production of Snow White. Santa will be there too, of course, and we’ve booked spectacular entertainers like jugglers and stilt walkers to mingle with the crowds. Even our very own Mayor gets in on the act. The lights themselves will be more stunning than ever, thanks to extra money we’ve invested in gorgeous new displays. Look out for dazzling new Christmas illuminations dotted around the town, especially the amazing new Ceiling of Lights we’re creating in Princess Street. The 2018 Switch On coincides with our attempt to beat the official world record for the world’s biggest gathering of snowmen, so watch that with amazement or, better still, come along and take part! You can read all about that event in this magazine. Of course the Switch On grand finale will be a fantastic firework show, launched from the roof of Marks and Spencer so everyone gets a great view. Better get practising your best “Ooooos” and “Aaahhhs”!